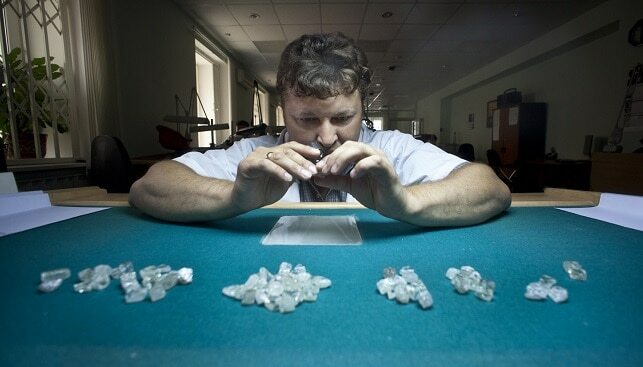 Russian mining giant Alrosa has summed up the results of its auction of special size (over 10.8 carats) diamonds, held at the Israel Diamond Exchange (IDE) on November 4-22, 2018. Alrosa sold 105 gem-quality rough diamonds totaling 1,906 carats in weight, raking in $17 million. More than 100 companies from Israel, Belgium, Hong Kong, India, UAE, the US and Russia were invited to participate in that auction. According to the company, “44 companies were recognized as winners in different auction positions”. Evgeny Agureev, Director of the USO ALROSA, said: “The results of this year’s last auction in Israel confirm the stable demand for our products in this country – the total starting price has been significantly exceeded. This year, we held six auctions in Israel and sold large rough diamonds for a total amount of $90 million”.